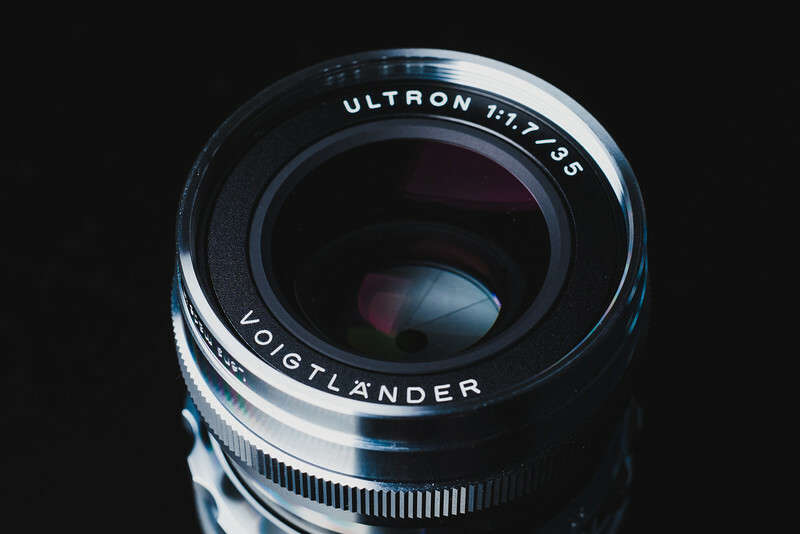 The Voigtlander 35mm f1.7 is a great lens for those who want something relatively compact, without having to sacrifice amazing image quality. It’s not the smallest 35mm lens you can buy, but it’s not the biggest either. It’s in that sweet spot. While there are faster lenses out there, the f1.7 is still a great place to be at, especially for a lens this size. 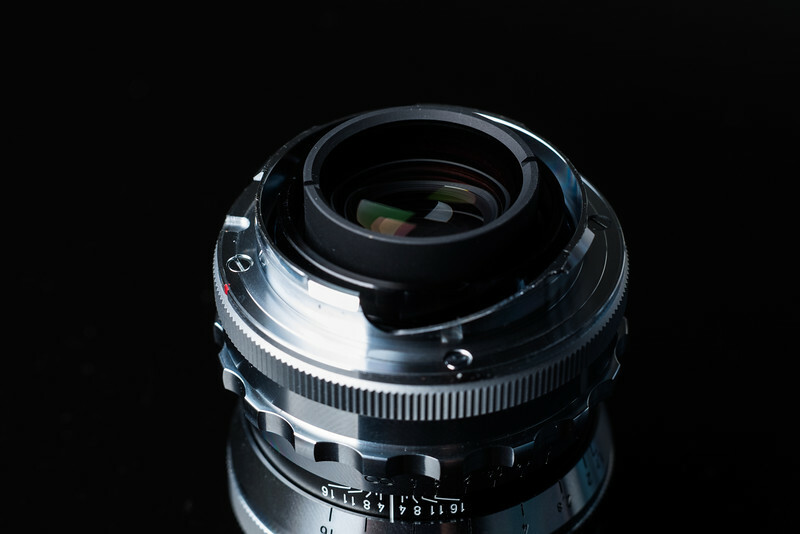 I’ve been buying Leica M mount lenses because I shoot on both Fujifilm and Sony, and having lenses that can work on both systems is an amazing thing. I ultimately bought this lens to work as a 50mm on my Fujifilm where the APS-C crop makes it almost flawless, but it also works great as a 35mm on the Sony A7rIII. Physically this lens is beautiful. Silver looks amazing, but black is less likely to clash with your body, unless you have a silver Leica or Fuji. Focus ring is very smooth and the images it produces are extremely sharp even to the edges with some very slight softness in the corners. Design – 9 elements in 7 groups. To use a UV filter with the hood that comes with the lens, you have to screw the filter onto the lens and then screw the lens hood onto the filter. So you need to make sure you get a UV filter that has front threads. If you purchase the additional lens hood, then you get a two-part kit – A threaded barrel that screws onto the lens that also has threads for the UV filter. You’ll attach your UV filter to this barrel, then attach the barrel to the lens. Then the hood lays over the top of the barrel and has a thumb tightening screw. It’s pretty fancy. The focus ring is really nice to use. I also like the aperture ring, although it took me a minute to get use to it being on the end of the lens compared to being near the base of the lens. Aperture clicks feel good, not too soft not too hard either. I haven’t had any issues accidentally changing aperture. When focusing, the lens telescopes in and out. A feature that sometimes can cause more dust to be pulled into the lens by the vacuum that is created from the lens expanding and contracting. I haven’t had the lens long enough to know if it’s an issue or not. I’m sure it will be fine in most shooting situations, you just probably wouldn’t want to take it to Burning Man. As far as any other issues, there is nothing serious. Just a few quirks that I’ll go over. 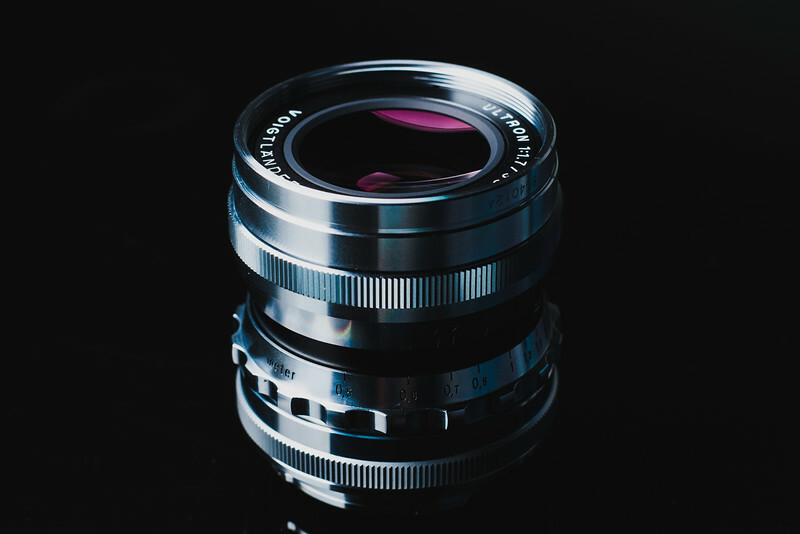 Vignetting is one of those characteristics we just have to accept with smaller lenses like this. I’ve personally don’t mind it and it’s not very bad on this lens compared to some of their other lenses like the 15mm Heliar III. By f4, it clears up nicely but is still there even at higher apertures. There is also no Lightroom profile correction yet for this lens, so you have to remove the vignetting manually if it bothers you. I’ll be testing this lens on more cameras but expect it to perform different on different systems as they all have different sensor stacks. I imagine we’ll see less vignetting on the Canon EOS R vs the A7III because of the smaller focus stack. When using the EOS R there is a noticeable purple vignetting that occurs at all apertures. It’s easy to fix with a radial gradient adjustment with a shifted green WB in Lightroom. 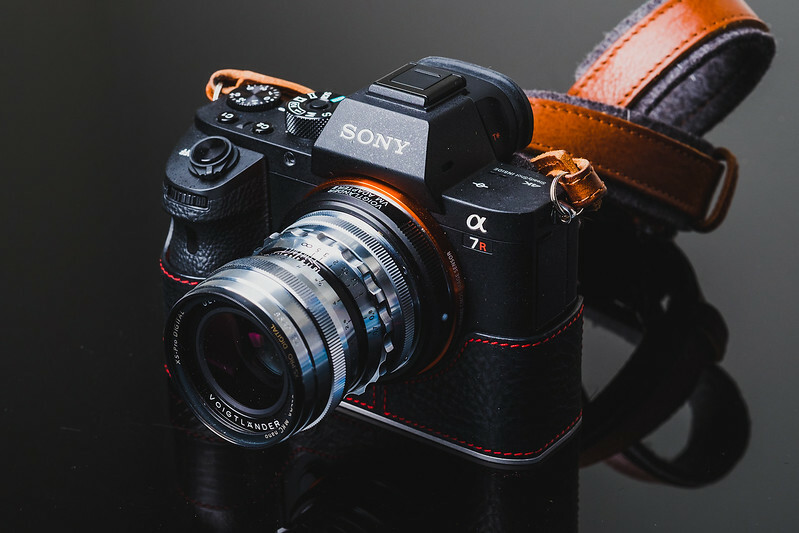 There is an advantage with corner and edge sharpness when using Voitglander 35mm f1.7 on the EOS R compared to the Sony A7rIII or any full frame E-Mount. I’ll have some results for how this lens performs on the Nikon Z6 soon. I haven’t seen any purple vignette but I’m not sure how well the corners hold up when looking at sharpness. Field Curvature is when you focus on the center of your lens and your background falls out of focus, except some areas along the edges that are on a slightly different focal plane than your center subject. It might be a characteristic brought on by Sony’s stacked CMOS sensor, or the micro lens configuration. I haven’t really been able to find any good samples of this yet, only some minor issues that aren’t worth posting. Sometimes smaller lenses like this can produce strange color shifts in an onion ring like pattern. You’ll usually see it on your blue skies and when you’re trying to remove the vignetting. On this lens, it’s very well controlled. If you want to see an example of a bad color shift, see my Zeiss 35mm Sonnar Review. This is a shot of a white softbox with saturation, vibrance and contrast maxed in Lightroom. You might not like that this lens can only focus with a minimum distance of 0.5m. However, close focus with this lens isn’t great anyway and if you want tack sharp images at anything under f5.6, you’re going to need to be a few feet away from your subject. I’ve found anything under about three feet at f1.7 to f5.6 yields slightly softer images do to spherical aberrations. Step back and things are razor-sharp again. This is not uncommon. I have the same issue with my Fuji X100T. Regardless, here is a sharpness test taken at about 2-3 feet away at f5.6. From the corners to the edges it’s looking great, much better than my Zeiss Sonnar f2.8 in the edges. Center to edges look great. The corner do soften up slightly, but only at the extreme corners. Chromatic Aberrations are very well controlled on this lens. I’ve yet to have it become an issue and I struggle to even find any bad examples in my day-to-day photography. Out of all my photos shooting up into the sky at architecture, there were only a few shots that had any chromatic aberrations. This was one of the rare examples. And this is as bad as it seems to get. This is more related to the pixel pitch of your sensor, but I still like to do diffraction tests with each lens just to see how the lens center sharpness performs at all the different apertures. The Bokeh isn’t perfectly circular, and might have a very subtle swirl to it, but I wouldn’t say it go as far as having the cat eye effect either. With that 10 blade aperture, it looks very creamy. Voigtlander lenses seem to always produce some really nice sunstars even at lower apertures. You can get them even at f2.8. This one is at f5.6. It’s also very hard to get this lens to flare. Focus shifting is when the focus changes slightly as you change your aperture. Basically if you’re in focus at f1.7, you might not be in focus when you change your aperture to f5.6. I’ve found that to be the case with this lens. When doing the diffraction test, from f1.7 to about f5.6 I had to adjust the focus at each aperture setting otherwise it would shift as I stopped down. The difference isn’t huge, most people probably won’t notice, but if you want to be precise, it will make a difference to refocus after adjusting aperture. If you’re looking for an all manual 35mm lens for your Sony or even your Leica at this price, this lens is it. Buying it should be a no brainer. For how I shoot and what I shoot for, I really have no need for anything better than this and there aren’t a lot of lenses that are better than this for these systems at this size. It works very well on the Sony A7r III, it’s also an amazing 50mm on the Fujifilm XT3. All around, a great lens no matter what system you’re using. Focusing is a silky smooth, it’s crazy fast for how small it is and the optics are pretty close to perfect. I love this thing. On my Sony cameras I use the Voigtlander VM to E mount adapter. On the Fujifilm cameras I use the official Fujifilm adapter because it has a button that lets you instantly go to the mount adapter settings. EOS R and Nikon Z you can use the Kipon adapters. If you want a cheap adapter, check out K&N Concept. Do you know if the newer Ultron 1.7 35mm mounts correctly with the Fuji-made adapter?